After 3.5 hours of riding, my hands were throbbing and raw. Several new callouses had popped up on the fleshy part of my palm on the underside of my knuckles. Despite how much I was trying to enjoy my mountain bike vacation in Sedona, all I could think about were my hands. This was several weeks after losing a mountain bike glove and I hadn’t yet replaced it. A new pair of gloves were needed ASAP! You don’t realize how much protection and comfort a pair of mountain bike gloves can provide until you try riding without them for a while. 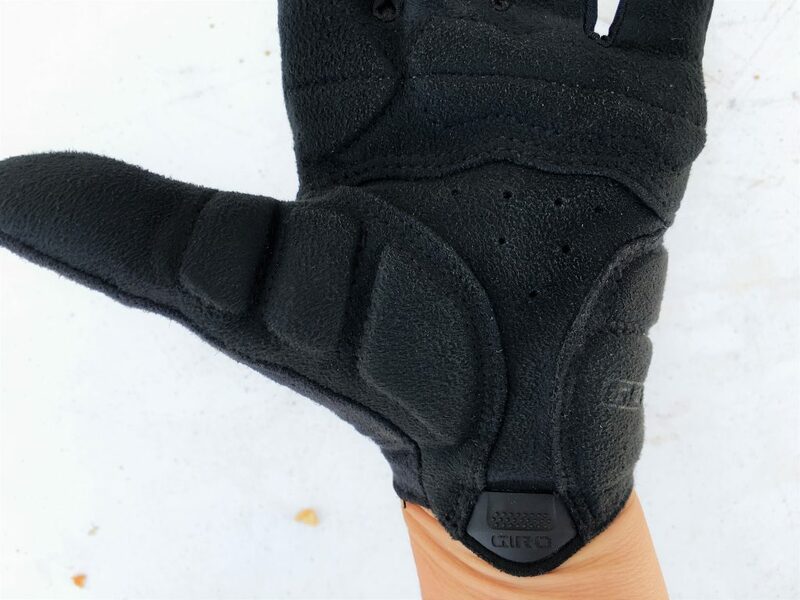 I picked up a new pair of Giro Tessa LF gloves at the local bike shop in Sedona and immediately put them to the test–riding some of the rougher and more technical trails that the area has to offer. 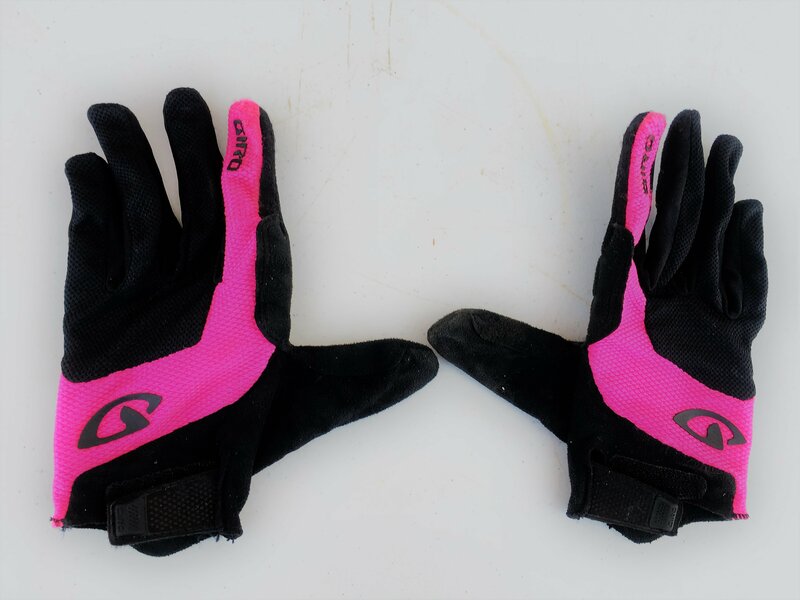 What I found were a pair of women-specific mountain bike gloves that were comfortable, well-padded, but still breathable enough for warm-weather riding. The best part of these gloves is the ample gel padding in the palms. After weeks of riding without gloves, this feeling was akin to falling down on a soft mattress after a long camping trip. The gloves do a great job of absorbing vibration on rough trails, but aren’t SO padded as to detract from “feeling” the trail. Luckily I had the opportunity to try these on in a local shop, or else I would have ordered the wrong size. These gloves run REALLY small. I tend to think I have pretty small hands, and I had to buy these in a size large. This is great if you have small hands, but I think most women (especially women with bigger hands) are going to have an issue with this. I also tried on some men’s Giro gloves (size small) in the shop and they were way too big for me. It seems that Giro has some sizing issues. If you are ordering online, make sure to buy a size larger than you normally would. 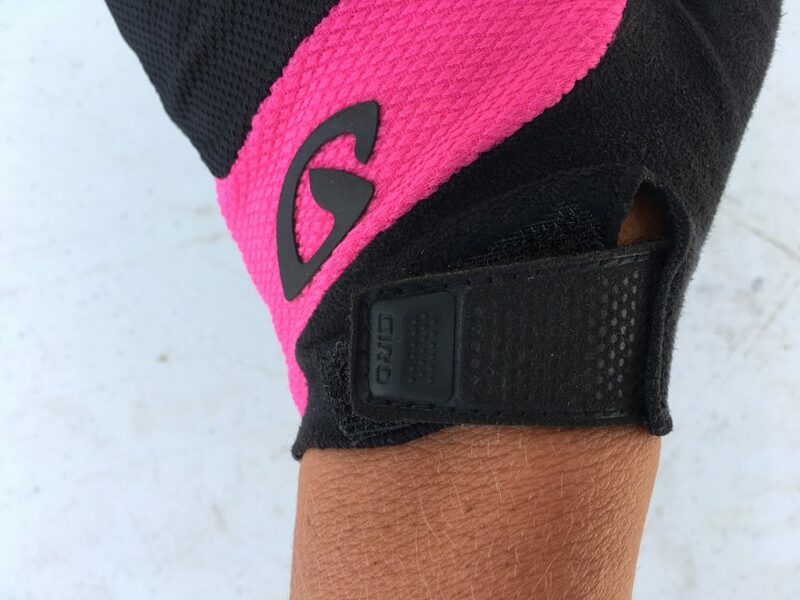 The Giro Tessa LF gloves have a velcro closure at the wrist. This can be a good or bad thing depending on your personal preference. I tend to prefer slip-on gloves, but the velcro closure does ensure you get that “tight” and ready to ride feel. The Tessa gloves have a simple no-frills design but come in a couple different colors, including black and gray for women who don’t dig the more girly colors. Despite the ample padding in the palm, the upper part of the glove is highly breathable. The mesh fabric allows good air-flow but seems a little thicker and more durable than other mesh gloves we’ve had that wore out quickly. The one thing that I DON’T LIKE about these gloves is that they don’t work well with smartphones. Giro advertises that they have “touchscreen technology” but I haven’t had any success using these gloves with my iPhone. If you don’t use your phone often when riding, then it is not a big deal, but if you stop often to check your Trailforks App or to take pictures with your phone, then this may be a bit obnoxious. The Giro Tessa LF is a good option for ladies with small hands and those who are looking for a well-padded glove that isn’t too bulky or hot. If you have larger hands or like to use your phone while wearing your gloves, then there are better options for you.